What is a template anyway? A template is a pattern, mold, or the like, serving as a gauge or guide in mechanical work. As it relates to computing, it is described as an electronic file with a pre-designed, customized format and structure, ready to be filled in. Our TechWyse recipe for a great website. As a result, when you purchase a website template, your are getting a pre-designed structure, with specific formatting (layout and text elements) that are ready to be filled in. Please understand that website templates although cost effective upfront, offer little in creativity, alteration and any type of customization. Sure you can change the images and text on the page but very rarely can you alter position of page elements and pre-defined page actions as these are usually locked down in templates. 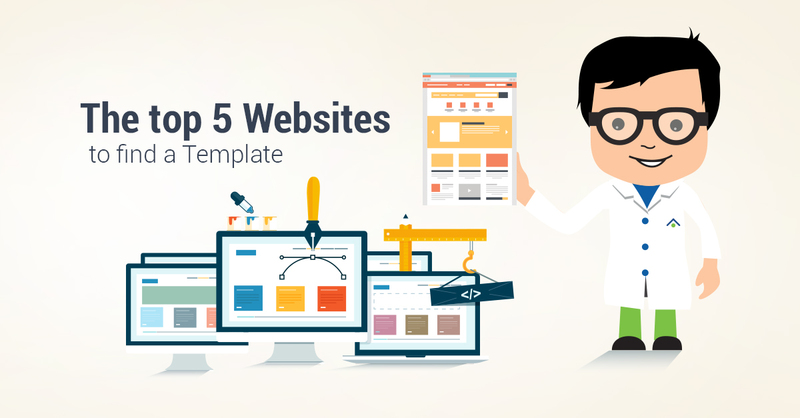 Here are my top 5 picks for template websites. Some offer free templates while others offer paid templates. 1 – Theme Forest offers a wide variety of website templates, including a great selection of WordPress Templates. 2 – WordPress offers a number of templates direct on their own website. 3 – Template Monster offers a wide range of themes for most popular CMS and eCommerce platforms. 4 – Templates offers a wide range of themes for most popular CMS and eCommerce platforms. 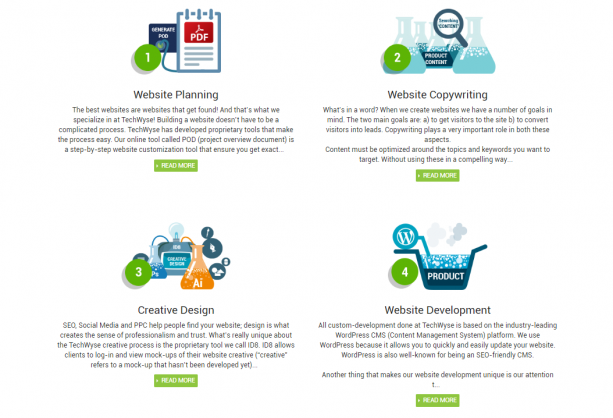 5 – Metamorphosis Design offers a wide range of themed templates for several different CMS and eCommerce platforms. When it comes to website templates there are thousands to choose from, some are great … and others not so great. Make sure you get the template that best suites your needs as they will be difficult to make changes to. 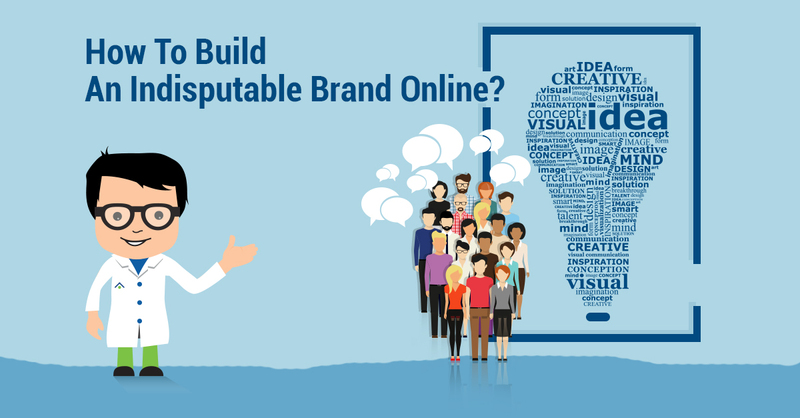 Also, if you do not know much about the technical aspect of deploying a website or accessing your control panel or database connectivity, you may want to think again before purchasing a template. 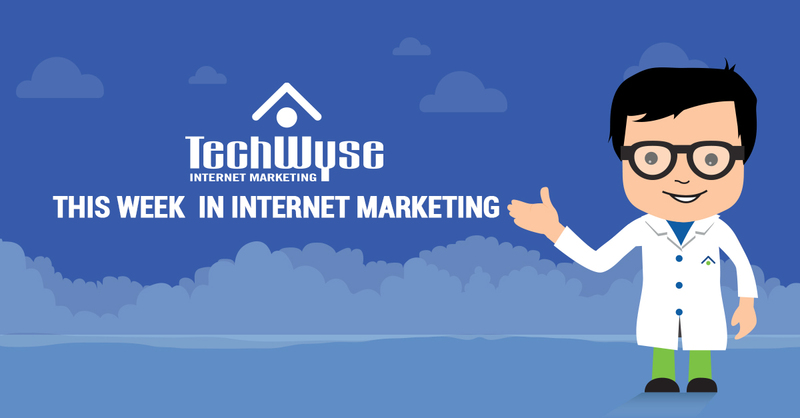 You do need some technical know-how to make certain changes in connectivity or website environment. Otherwise the template you purchase may not do everything the demo version did. Recently my nephew purchased a website template for $147 US and thought it would just be a matter of loading some files and things would work. What he did not know was that there were 3 plugins that ran specific aspects of the demo site. These plugins had to be purchased and installed on his website as well. Instructions were given with the template but it was far more complicated that he originally thought and took several hours on the phone with his hosting company over 3 days to set things up correctly. Templates are a cost effective way to create a new website but you need to have the technical ability and be able to spend the time needed to do the legwork and make the installation of your template happen. Templates can be a great, money-saving alternative to a custom website, and can still give you the option of selecting your template, colour, number of pages, and dynamic modules. Our team has created a series of responsive designed templates for WordPress—check out our work here and please reach out to us for more information. I guess themeforest is a nice option if someone lacks the design skills/money to create a template but I don’t think using an already-made template is a good idea, especially if you plan on growing a lot as a company. You have to invest into a custom template made for you if you want to gain a good reputation and people to trust you, I wouldn’t even come close to a serious company website that uses a default theme from the internet. The list is awesome! Myself, I find that the free templates more than suffice most of the time. However, it gets annoying when you can’t change aspects of the template without buying it. Thank you for this! Huge 1+ for ThemeForest, I’ve used a ton of their permium templates and I have to say they are definitely worth the money. And then obviously WordPress has a lot of good free themes for people just starting out in the blogging and site game. Thanks for this list! My partners and I (we’re an early stage start – up) have been looking around for some good templates to put some basic information out there. Simple and easy to use, but with a little bit of style is what we’re looking for. I know there’s several of these out on the web but it’s very convenient to have a readily available list such as this one!